To improve the thermal comfort conditions of the occupants in the individual housing and to reduce the energy consumption induced by the heating and cooling needs in the building, it is necessary to act on the main element which controls the heat exchanges with the environment: the envelope. This refers to the building’s outer skin that consisting of vertical opaque components (the walls ...), horizontal ones (roof ...) and various opening devices. The thermal performance of the envelope is mainly due to its geometrical and formal attributes, but the material characteristics of its components remain decisive for thermal exchanges with the environment. As part of the building at the interface of the indoor ambiances and the outdoor environment, the envelope is often the seat of a large number of heat exchange phenomena that affect not only the premises energy consumption but also the thermal comfort conditions of their occupants. This paper summarizes the main results obtained from an in-situ measurement campaign to evaluate the design parameters influencing the thermal comfort of self-produced individual housing relative to the hot and arid climate of Biskra. In addition, a thermal simulation carried out with the TYRNSYS 17 software has demonstrated the potential of improving the thermal comfort conditions of the self-produced individual housing thanks to adequate choices concerning the architectural and constructive attributes of the envelope. LATRECHE, Sihem; SRITI, Leila. Improving thermal comfort conditions through the optimization of the self-product residential buildings envelope. Case of a region with a hot and arid climate: Biskra. Journal of Applied Engineering Science & Technology, [S.l. ], v. 4, n. 2, p. 149-157, june 2018. ISSN 2571-9815. Available at: <http://revues.univ-biskra.dz/index.php/jaest/article/view/3890>. Date accessed: 22 apr. 2019. J. Appl. Eng. Sci. Technol. 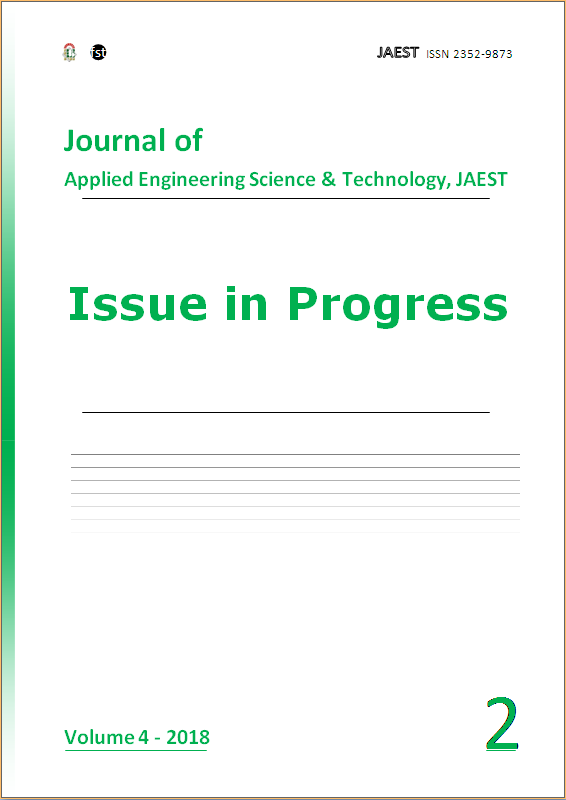 (JAEST - ISSN 2352-9873) is a peer-reviewed quarterly journal dedicated to the applied engineering sciences and technology. The JAEST provides immediate open access to its content on the principle that making research freely available to the public supports a greater global exchange of knowledge. There is no submission or publication fee for papers published in the JAEST. Authors retain copyright and grant the journal right of first publication with the work simultaneously licensed under a Creative Commons Attribution License that allows others to share the work with an acknowledgement of the work's authorship and initial publication in the JAEST. Authors are able to enter into separate, additional contractual arrangements for the non-exclusive distribution of the journal's published version of the work (e.g., post it to an institutional repository or publish it in a book), with an acknowledgement of its initial publication in the JAEST. Authors are permitted to post their work online (e.g., in institutional repositories or on their website) prior to and during the submission process, as it can lead to productive exchanges, as well as earlier and greater citation of published work (See The Effect of Open Access). Any such posting made before acceptance and publication of the Work shall be updated upon publication to include a reference to the JAEST and a link to the online abstract for the final published Work in the Journal. Editorial office address: Journal of Applied Engineering Science & Technology, Faculty of Sciences and technology, University of Biskra, BP 145, Biskra 07000, Algeria.